The Tropical Research Station La Gamba is nestled between the magnificent rainforests of the Costa Rican Piedras Blancas National Park and the deep dark waters of the Golfo Dulce. Since a quarter of a century the station provides an outpost for research on tropical ecology and reforestation projects in the Pacific Southwest. This pocket guide is aimed at nature enthusiasts, students and scientists visiting the area. 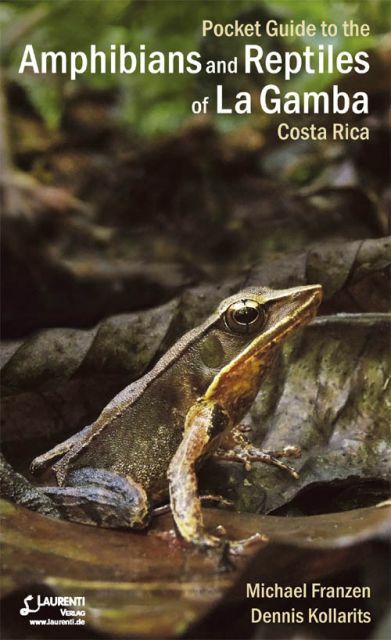 It provides a comprehensive identification tool for the 97 species of amphibians and reptiles recorded from the surroundings of the station and the village of La Gamba. With a total of more than 300 photos, each species is exhibited with identification characters and basic biological information. Als Abonnent können Sie alle bisher erschienenen Supplemente zum Abo-Preis nachbestellen.